Tetra Tech performed several studies for runway extension at Arnold Air Force Base in Coffee County, Tennessee. The studies included a wetland study and an obstruction study. 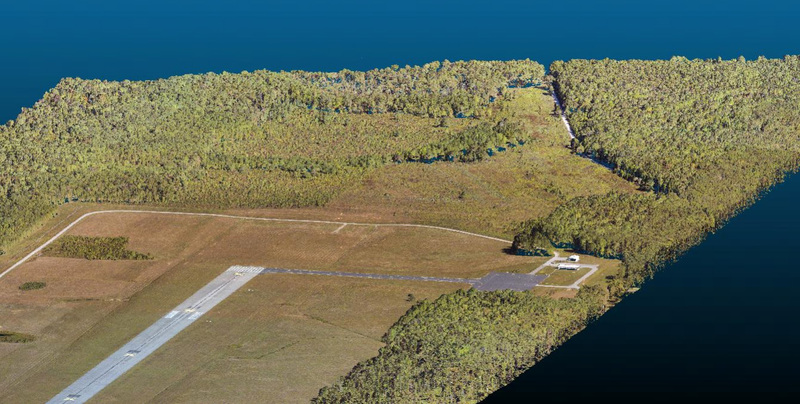 The runway is surrounded by forested areas at both ends. The Tetra Tech Geomatic Technologies Group provided airborne LiDAR and aerial imagery as a basis for obstruction modeling. The area of interest (AOI) covers an area of about 3,300’ by 26,000’. The LiDAR and imagery acquisition took place in September 2015. The LiDAR data was acquired with a Leica ALS70 sensor and the imagery was acquired with a Leica RCD105 digital camera. The total acquisition area was buffered around the AOI to a total area of acquisition of 5.9 square miles. For the acquisition, Tetra Tech contracted with The Atlantic Group. The Atlantic Group also performed a ground survey and the calibration of the LiDAR data. LiDAR was acquired with a nominal pulse density of 5 pts/square meter. The flying height was 1485 meters AGL (above ground level). The dedicated GPS base station during acquisition was in Tullport. CloudPro (Leica) and Terrascan and GeoCue were used for point cloud generation and verification of calibration. The aggregate nominal pulse spacing was 8.3 pts / square meter. 16 ground control points were established showing an RMSE in z of 0.2’ meeting the requirements for the project purpose. 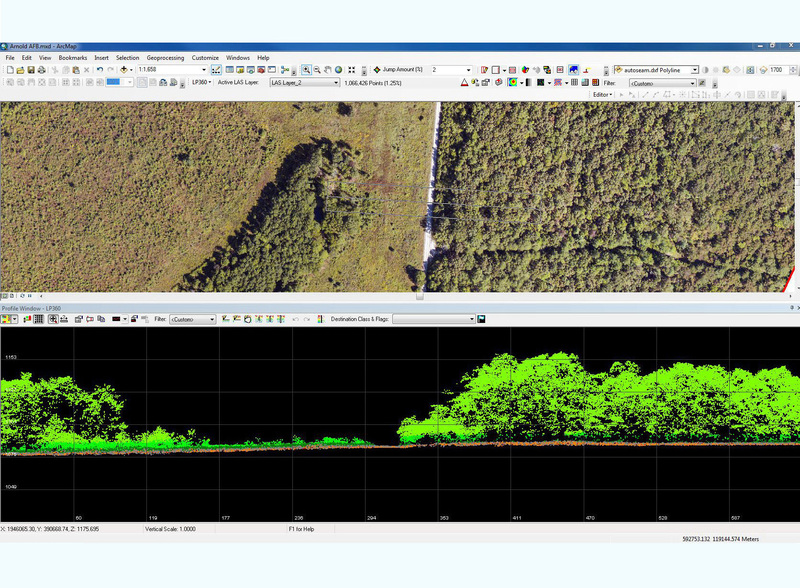 The Tetra Tech Geomatics team performed the ground classification of the LiDAR points, and the generation of derived products and orthoimagery. The calibrated point clouds were processed in Terrascan (GeoCue / Terrasolid) and in LP360 (GeoCue). The points were classified automatically followed by a manual review and classification. A Digital Terrain Model (DTM), a Digital Surface Model (DSM), a LiDAR intensity image and a normalized DSM were delivered as derived products. The obstruction study will make use of the classified point clouds. The data was delivered on time and to client satisfaction, and was delivered to the end client (Arnold AFB) and to the Tetra Tech team performing the obstruction study.